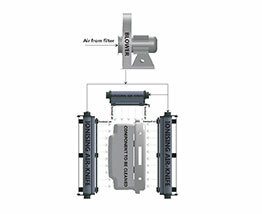 Removal of dust, loose particles, fibre, and lint from moving film, foil, paper or fabric on label presses, printing, coating, slitting, etc. made easy. 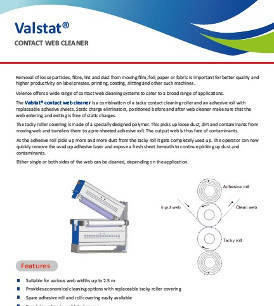 Valstat® Contact Web Cleaner is a combination of tacky contact cleaning roller and an adhesive roll with replaceable adhesive sheets. Static charge eliminators, positioned before and after web cleaner make sure that the web entering and exiting is free of static charges. 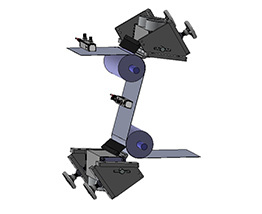 The tacky roller covering is made of a specially designed polymer. 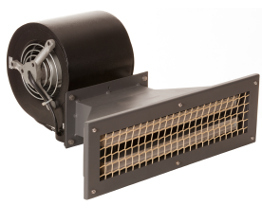 This picks up loose dust, dirt and contaminants from moving web and transfers them to a pre-sheeted adhesive roll. The output web is thus free of contaminants.